Dr. Kim Lehnert, PH. D.
Dr. Kim Lynn Lehnert is experienced in applying Dialectical Behavior Therapy (DBT) to issues of depression and anxiety, bipolar disorders, recovery from trauma, substance abuse, high-functioning autism (formerly known as Asperger’s Syndrome) the impact of familial substance abuse, eating disorders, borderline personality disorder, and self-harm and suicidal behaviors. 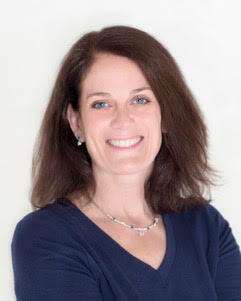 As the sole owner of DBT Psychological Services of Long Island, Dr. Kim Lehnert works with pre-adolescents, adolescents, college students, young adults, adults and the elderly providing individual therapy, leading several weekly DBT skills groups and teaching weekly Multi-Family DBT Skills workshops. Dr. Lehnert has completed two 10-day DBT intensive trainings (1996/1997; 1999/2000) and has served as a national trainer for Behavioral Tech, LLC (2002-2012), teaching clinicians how to apply DBT in their own practice. Dr. Kim Lehnert has dedicated her career to her passion and enthusiasm for helping patients develop effective coping skills for dealing with extremely painful emotions and behaviors while helping them realize their important life goals. Dr. Kim Lehnert received her Ph.D. in clinical psychology at Case Western Reserve University in Cleveland, Ohio and completed a year-long APA-approved internship at the VA Pittsburgh Healthcare System, working primarily with dually-diagnosed Vietnam War veterans. She completed a National Institute of Mental Health (NIMH) postdoctoral clinical research fellowship at Western Psychiatric Institute and Clinic in Pittsburgh, Pennsylvania where she received extensive training in the assessment and treatment of attachment, personality disorders, trauma, substance abuse, and eating disorders. From 1998 to 2003, Dr. Kim Lehnert developed and directed the Zucker Hillside Hospital DBT and DBT-Substance Abuse Programs of the North Shore-Long Island Jewish Healthcare System as the Chief of DBT Services. Dr. Lehnert also served as the Director of Gampro at the Pederson-Krag Center, applying DBT to develop a comprehensive behavioral treatment approach for gambling addiction. In the past, she has been the Director of DBT services at Family Psychology of Long Island and Suffolk DBT Psychological Services. She is now providing DBT services in her solo practice, DBT Psychological Services of Long Island. She has co-authored several research articles in the area of adolescent suicidal behavior. More recently, Dr. Lehnert has become increasingly interested in and committed to broadening her application of DBT to individuals who present with neurodevelopmental differences (ADHD, high functioning autism spectrum disorder or Asperger’s Syndrome), suicidality and/or substance abuse. She has completed multiple workshops and the Clinical Training Level 1A training in Michelle Garcia Winner’s Social Thinking curriculum which focuses on how to effectively increase social self-awareness, perspective taking, self-regulation, executive functioning, social-emotional understanding, and social skills in individuals. Dr. Lehnert is a long-time member of the American Psychological Association (APA.) She also maintains professional memberships in the New York State Psychological Association (NYSPA), the Suffolk County Psychological Association, (SCPA) and the Asperger Syndrome and High Functioning Autism Association of NY (AHA). Dr. Lehnert is a parent member of the Specialized Asperger’s/Autism Support and Information group (SASI). Start living your life to the fullest and contact us today!